Posee un mango de 130 mm. con cachas de HDM-300 y un peso total de 260 grs. Viene presentado con funda de Cordura con sistema MOLLE indluida. Azero knife with a D2 steel blade whose length is 100 mm. and has an overall length of 230 mm. It features a 130 mm. handle made of HDM-300 and an overall length of 260 grs. 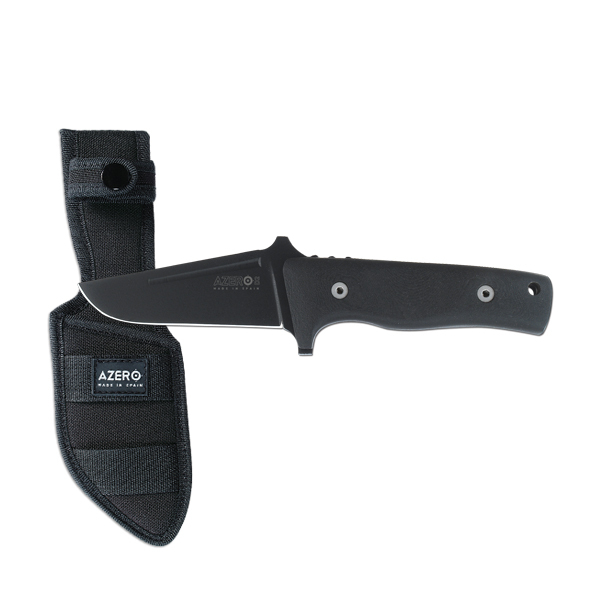 It is presented in an included MOLLE system Cordura sheath.
.: Ver otros artículos de AZERO :. C.BOWIE ASTA CIERVO H/25 cm.